home › posts › 10 Reasons You Should Add I... ten trees planted for every item purchased. Iceland is well known for its breathtaking and untouched wilderness, filled with mountains, waterfalls, hot springs, volcanoes, black sand beaches, glaciers, special wild life and so much more. 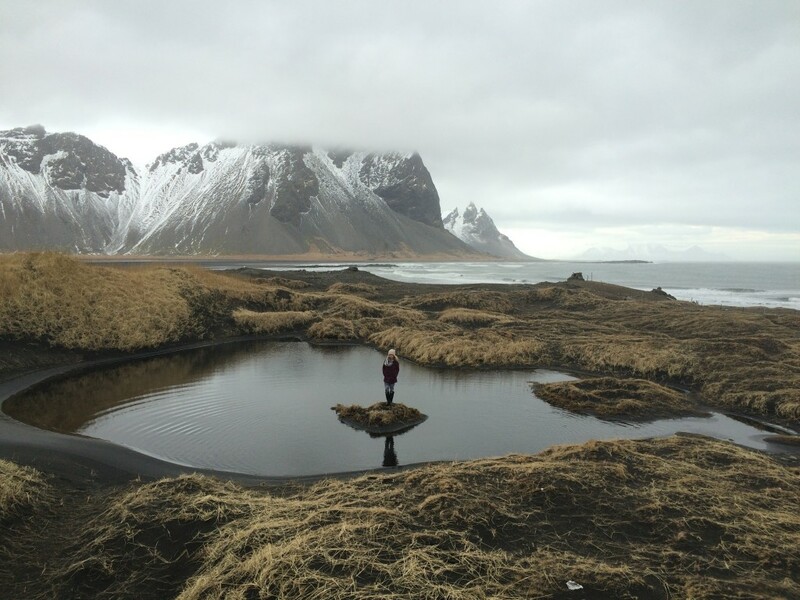 Whether you’re a photographer, an adventurer, a hiker, or simply an individual with a curious soul, Iceland is the place for you. The reasons to visit this majestic country are endless, though here are ten that will leave you looking at plane tickets after reading… if not before. The country is crawling with trails, both marked and unmarked, throughout the countries mountains and valleys. The interior of the country has minimal roads, and not many habitants, where instead it is very quiet and the opportunity for hiking is endless. Recommended travel months are from May-September due to poor weather and road closures in the winter months. There are also trails around the exterior of the country, paralleling the ocean, as well as hikes with magnificent views of the seaside, town sites and unique landscape, such as lava fields. Unique to Iceland are the black sand and pebble beaches. Reynisfjara is one of the most popular beaches to visit, located on the Southern part of Iceland. Its caves, pyramid structures, rock formations and birdlife all provide for some great photo ops. Jokulsarlon is a large glacier lake also on the Southern end with icebergs that float from the glacier, to the lake and through a canal, into the open ocean. Many of the icebergs get caught up on the shoreline – which result in a photographers dream. Aside from these beaches, there are numerous others around the island that are well worth a pit stop. Iceland is located on a ‘hot spot’ of the earth, which results in a lot of geothermal activity. Natural hot springs, volcanoes and geysers are common place. Some of the 'hot spots' are boiling, though others are the perfect bathing temperature, drawing tourists and locals. The ‘Blue Lagoon’ is the largest hot springs, as well as one of the most popular tourist attractions on the island. 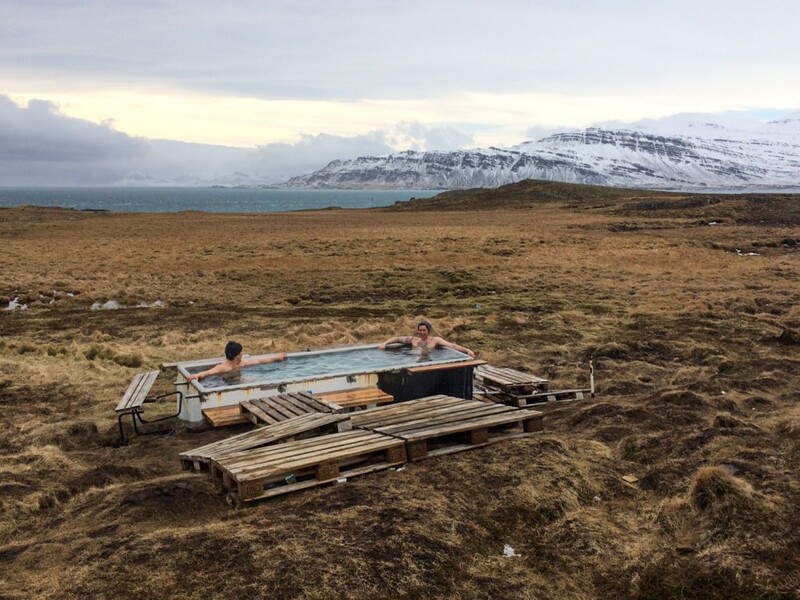 The lagoon is located just outside Iceland’s capital city Reyjkavik, though there are hidden hot springs spotted around the country. Keep your eyes peeled, as most are tucked away off the main roads, with no signage. The countries volcanoes and geysers are quite easy to find as they are located on most maps. Lava fields scatter the island, and you will find yourself in the middle of many as you drive through the country. There are not many wild or domesticated animals in Iceland, though the wildlife and farm animals they do have are very special. From the stunning and friendly Icelandic horses, to the arctic foxes, Icelandic sheep and dogs, to the reindeer and Atlantic puffins, Iceland’s wildlife won't be forgotten. If you are a horse lover you will find it hard not to spend everyday, all day with these majestic animals, as they will steal your heart. Interesting fact: there are more sheep than people in Iceland and some farmers own close to 1,000 of their very own! The country is quite easy to navigate, given proper maps and signage provided all around the country. There are numerous tour companies for those wanting guided tours of various attractions and sights. For those wanting more freedom, there are also a number of rental car companies and camper vans available. If you have two weeks or more in the country, driving the whole ‘ring road’ is highly recommended, in order to captivate all that the country has to offer. There is no shortage of campgrounds, gas stations and convenient stores along the way. Not feeling like roughing it? Check into a few of the many bed and breakfasts or hotels instead! Iceland is known as the land of fire and ice, but lets not forget about the WATER! There is no shortage of waterfalls for any tourists or photographers wanting to captivate the beauty of such a landscape. Gullfoss, Seljalandsfoss, Dettifoss, Godafoss, Skogafoss, Glymur, Svartifoss, Selfoss, Haifoss, Aldyjarfoss, Barnafossar, Gjain, Ofaerufoss… the list goes on. I am sure you can guess what the Icelandic word for falls is? It is difficult to put together a list of the top few waterfalls in Iceland, as they all bring their own uniqueness and impressiveness. You will be blown away by the diversity. Not only is Iceland home to many hot, geothermal activity sights, the country is also scattered with mountains, glaciers and ice caves. You can book guided tours, whether it is to adventure to the glaciers and ice caves, or perhaps you are wanting to head out into the alpines for some backcountry skiing, heli-skiing or snowmobiling. You can also go on your own depending on personal experience, equipment and comfort level in tackling such adventures. It is important that you take time to tour the small towns and fishing villages and visit with the locals. The homes and buildings are unique in themselves, along with the ‘kaffi’ shops and small town stores, restaurants, libraries and museums, all vibrant in color. The fishing industry is one of Iceland’s most important, aside from tourism. Husavik, a large fishing town located on the Northern end of Iceland, is a must see. It is a common stop for those wanting to head out to sea for some whale watching. The Northern Lights, also known as the Aurora borealis are one of the most remarkable phenomena’s on earth and an ideal place to view them is in Iceland. Ideal conditions are from mid September to mid April, when the temperatures are colder and the days are shorter (meaning more hours of darkness). Many photographers travel to Iceland simply to capture the beauty of the nights sky. It is an experience you will not forget.